How to Exit iTunes Mode on iPhone? - 2019 Top 2 Ways! 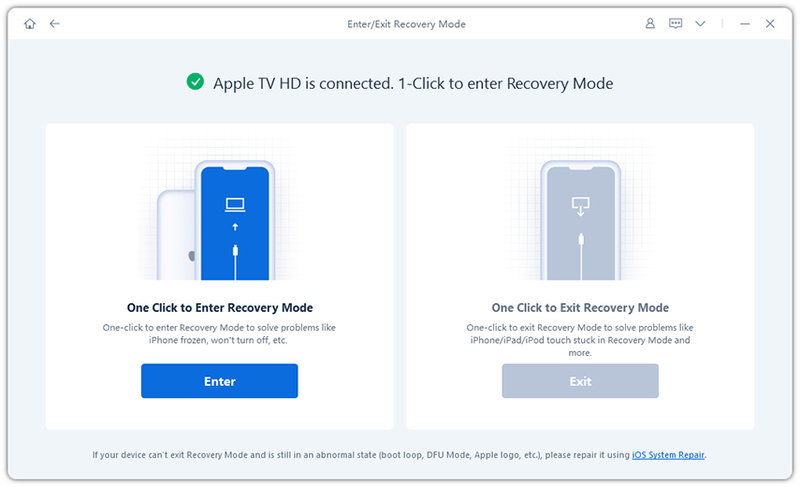 Every time when you want to conduct an iOS update or restore a backup from your iTunes, you would come across iTunes mode, which is also recovery mode. However, sometimes your iPhone may fail in exiting iTunes mode when it should. And it will end up either repeating the booting in a loop infinitely or getting stuck on the iTunes logo and a USB cable screen. So what should you do? Don't worry, this guide will offer you 2 methods to help exit recovery mode on iPhone 7/7 Plus/SE/6s/6s Plus/6/6 Plus/5S/5c/5 and iPad or iPod. Be noted that this method will restore your iPhone in the process and everything will be removed from it. But a backup will be created which allows you to recover your data. Launch iTunes on your computer to get your iPhone out of iTunes mode. Connect your iPhone with the PC by USB cable and tap on "OK" when prompted in iTunes. Select your iPhone from the list of buttons at the top of iTunes. Click the "Restore" button. Follow the prompts and make a backup of your iPhone before restoring. 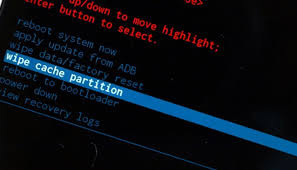 The process can take several minutes, wait for the backup and restore process to complete. Select "restore from backup" in iTunes after your iPhone has been restored. This will allow you to select the backup you just created and restore it back on your iPhone. Sometimes, using iTunes may not work to get your iOS 10/9/8 out of recovery mode successfully. 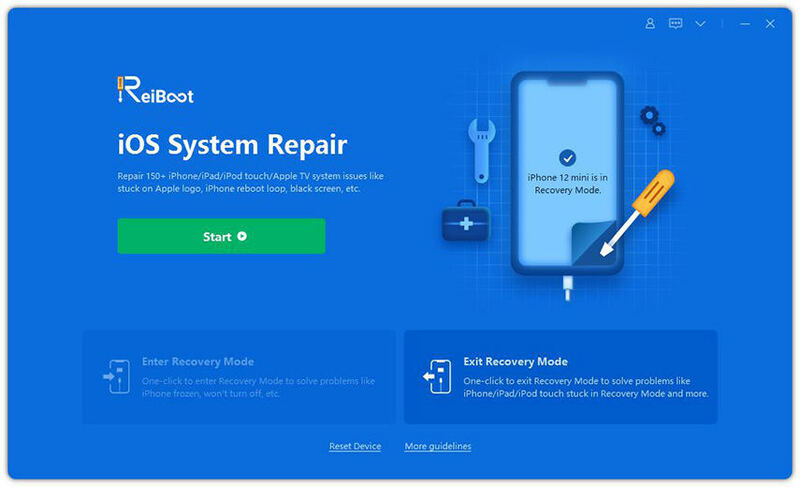 So we recommend using Free iPhone Recovery Mode ReiBoot, a powerful free software for you to easily get iOS device into or out of recovery mode with a single click, also fixes all kinds of screen stuck, iOS stuck, and iTunes bugs on iPhone/iPad/iPod touch without any data loss. Let's follow these steps to see how to get rid of iTunes mode. Download Reiboot free, install and run Tenorshare ReiBoot on your computer. Connect your iPhone/iPad/iPod touch to computer with USB cable. Your device will be automatically detected and click on the highlighted "Exit Recovery Mode" to reboot your iDevice. Now your device is out of recovery mode. 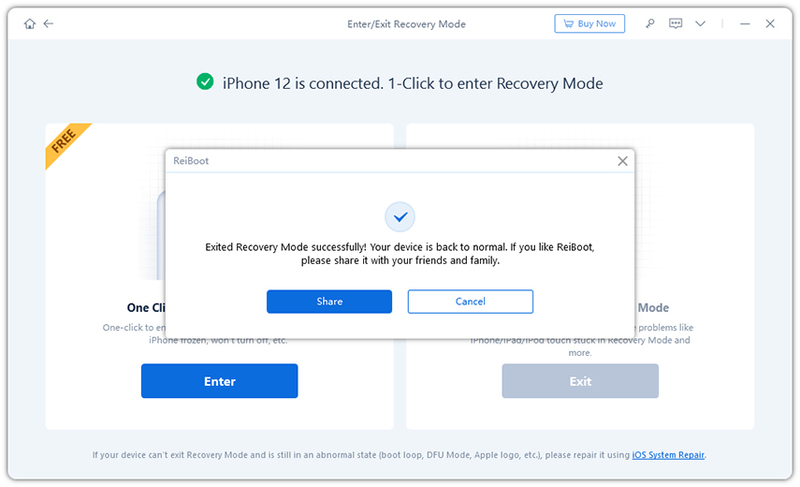 If you own a latest iPhone 7/7 Plus, and are in the middle of iTunes mode stuck, you may want to read 2 Ways to Put iPhone 7/7 Plus into Recovery Mode to learn more about the Tenorshare ReiBoot. Now you have exited iPhone iTunes Mode with Tenorshare ReiBoot successfully. And you can manage to get out of recovery mode on iPhone without iTunes. Also, you don't have to connect and restore your device with iTunes. So have a try now?